Puzzled about life in the jungle? Don't sweat it. Young readers will learn about some of their favorite animals in the jungle. Discover some of the ways an Elephant uses his trunk. See who Crocodile meets during his swim in the river. The king of the jungle has a roaring good time in Lion's book. And Monkey . . . well . . . monkeys around. 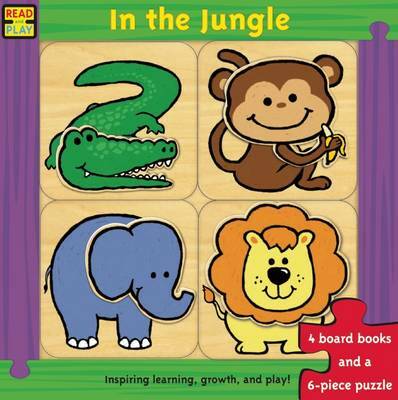 Read and Play: In the Jungle is a fun introduction to the wonderful animals that live in the jungle.